1924 E 5th Avenue Tampa, FL. | MLS# T3168640 | Tampa Residential Real Estate Sales and Property Management. Our office is centrally located in Ybor City. Rare opportunity to own a newer built home in the heart of Ybor City! At first sight, you would think this home is historic, with the row house design, wood cladding, and trim details. This 2011 built home was meant to give you a historic vibe but without all the maintenance. Block construction all the up, attached two car garage, dual ac units, gas tankless water heater, and a metal roof sitting on an oversized lot. Currently, the side lot is being used as a garden but could be converted into extra parking if being purchased for commercial use. The home is zoned mixed use offering a work, play opportunity. The interior of this home is light and bright with gorgeous pine floors throughout. If you love to cook, you'll love the commercial grade gas stove in this kitchen. Brass lighting fixtures throughout the home give it a contemporary feel. Master Bedroom has an ensuite bath with soaking tub, his and her closets and a private balcony. Down the hall you have a shared bath and two guest suites. One comes with a generous private balcony. 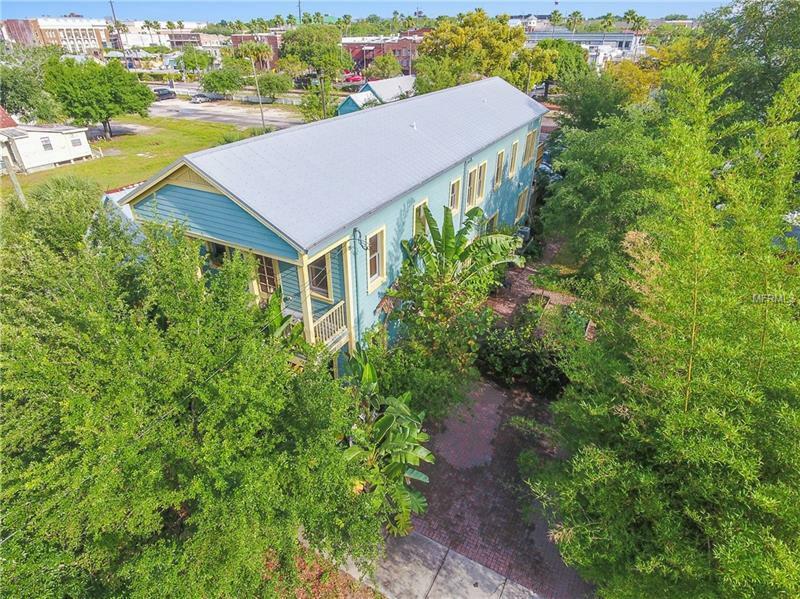 Homes rarely come available in Ybor proper. Don't miss out on seeing this one!